The Feast of the Presentation of our Lord is the hinge between Christmas and the cross. It holds in tension life and death, light and darkness, the salvation Simeon sees in the child and the sword that will pierce Mary’s soul. With the Feast of the Presentation the Marian hymn following compline is the Ave Regina Caelorum. The anthem asks Mary’s prayers for our coming new birth. 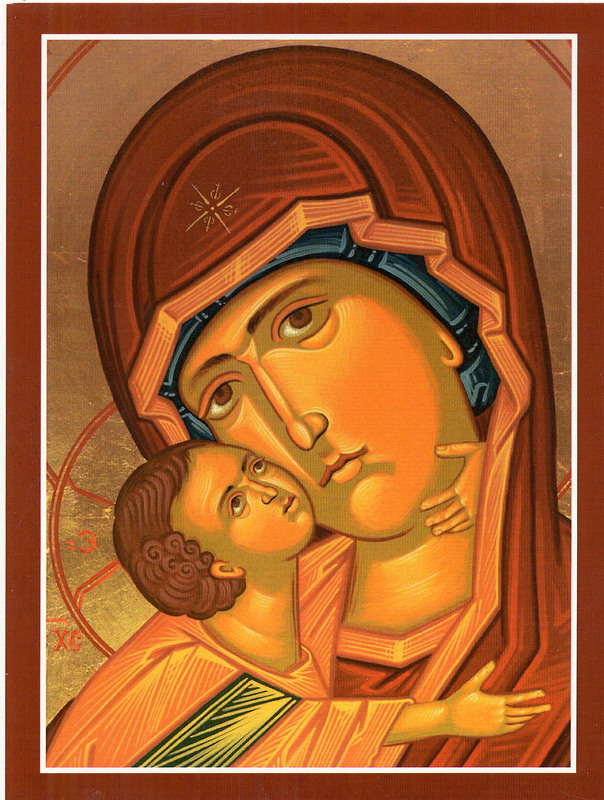 In that regard the Theotokos, the Mother of God, is also our mother. Hail, Queen of heaven; Hail, Mistress of the Angels; Hail, root of Jesus; Hail, the gate through which the Light rose over the earth. Rejoice, Virgin most renowned, whose grace and beauty are unsurpassed: pray for us to Christ. V: Allow me to praise you, O sacred Virgin. R: Against your enemies give me strength. Grant us, O Lord, mercifully to assist our infirmity: that as we do now commemorate Blessed Mary Ever-Virgin, Mother of God; so by the help of her intercession, we may die to our former sins and rise again to newness of life. Amen! Said it tonight at Compline. Do you ever use The Anglican Breviary? Andrew, yes, I do have the Anglican Breviary, though I use it mostly for reference. I just haven’t yet taken the time to learn it well enough to use for the hours.